(NaturalNews) The success of the globalists in perverting the minds of Western youth is evident in a new study by the Innovation Group, which found that most people between the ages of 13 and 20 – what the mainstream media and social engineers have dubbed "Generation Z" – no longer believe in strictly-defined gender identities like "male" and "female." These gender "binaries," which are really just the pronouns humanity has been using since the beginning of time to differentiate between individuals with external reproductive equipment versus internal reproductive equipment, are now "old-fashioned" to the youth of today, which the study found are more comfortable than previous generations using gender-neutral (and grammatically incorrect) pronouns like "they" and "them" to describe a single, genderless individual. A majority of Gen-Z respondents, 52 percent, indicated that they aren't completely heterosexual, while 35 percent – an 11 percent increase compared to "Millennials" – admit that they fall somewhere along the spectrum of bisexuality. This spectrum identification for sexuality is further reflected in the more than 38 percent of Gen-Zers who claim they don't believe gender defines a person. As far as the types of clothes and accessories they buy, 13–20 year-olds are much more fluid when it comes to sticking to a gender norm. Only 44 percent of Gen-Zers buy clothes exclusively designed for their own gender, while an astounding 70 percent say they support the idea that bathrooms become "genderless," welcoming anyone and everyone who wants to use them. Gen-Z is likewise more accepting of others who don't identify by any specific gender pronoun, or who identify by "non-traditional" gender pronouns like "ze;" 74 percent of Gen-Zers fall into this category compared to just 62 percent of older Millennials between the ages of 21–34. But the one thing on which both Gen-Zers and Millennials agree? More people than ever are experimenting with their gender identity. A 16-year-old pansexual (genderless) student from Nebraska by the name of "Madeleine" told VICE that "it" (for lack of a better pronoun) learned more about gender and identity from its peers than from older people, and that "agender," or no gender at all, is a young people's phenomenon. "I also notice that people my age are more open to gender and sexuality being fluid and subject to change," Madeleine told VICE. "For a while, I identified as asexual, but as time went on and I changed, I realized that maybe I wasn't that way anymore." This lack of clarity about biological identity is a product of two things: relentless media propaganda and chemical poisoning with gender-bending chemicals found in plastics, herbicides and pesticides sprayed on our food, and environmental pollution. 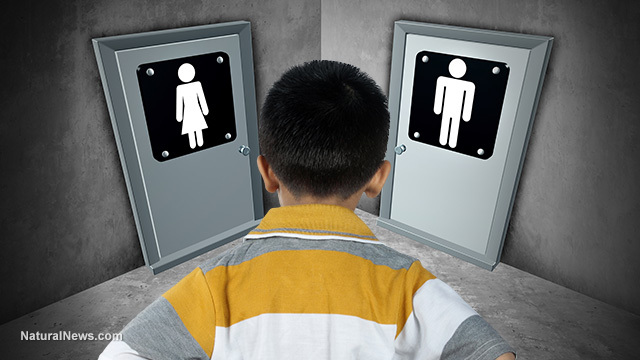 Chemicals like bisphenol-A (BPA), glyphosate, soy and other hormone-disruptors are altering human genes and producing next-generation "robot" humans with no gender, and thus no identity. It's sad, really, because it could have been prevented through reforms that protect the people rather than the chemical and drug industries that produce these toxins. Food, water, air: It's all tainted with endocrine-disrupting chemicals (EDCs) that, more often than not, mimic the effects of estrogen, meaning they deplete testosterone and create hormone imbalances that not only confuse children, but also affect their growth and development. Young girls are becoming more "masculine," while young boys are becoming more "feminine" – an alchemy of the two sexes both physically and mentally that's changing the landscape of culture and civilization. We've identified many sources of EDCs through our ongoing work at the Natural News Forensics Food Lab, which I encourage you to check out in order to learn more.